Sosa Ingredients is one of the leading manufacturers of premium ingredients for gastronomy and pastry in the world of fine dining . The company was founded in Spain in 1967 and started out as a small producer of artisan biscuits, over the years they have expanded to produce ingredients such as freeze dried fruits, texturizers, natural plant extracts, essential oils and a lot more. Today Sosa is currently exporting to over 50 countries worldwide. Luckily for TheTaste they were exhibiting at the catering event of the year CATEX in Dublin last weekend alongside Redmond Fine Foods one of Ireland’s leading suppliers of top quality integral menu ingredients for some of the country’s top chefs and we had a chance to sample just how these innovative products are integrated into some creative dishes from The Merrion Hotel Cellar Restaurant head chef Ed Cooney. 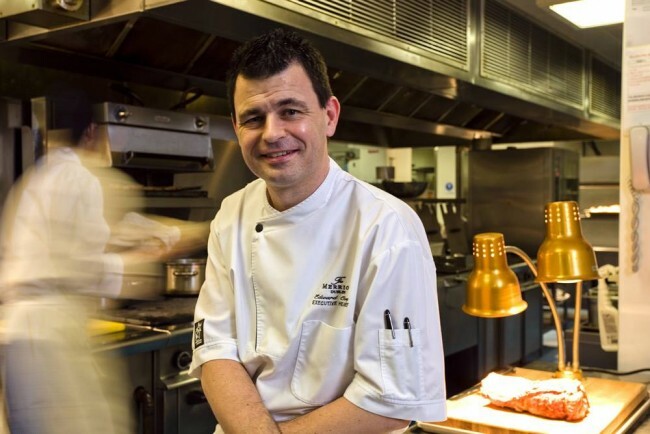 “Sosa products lend themselves to creativity & help stretch the chefs imagination resulting in an enhanced dining experience for the guest” explained Ed before we embarked on a gastronomical feast. We were in fine company with renowned chef Neven Maguire also in attendance, no pressure on Ed so! To compliment the exquisite flavours in each dish we had a well informed pairing of each course from Reinhardt, one of The Merrion’s finest, who was exceptional in explaining just how the magic Sosa ingredient in each dish actually works. 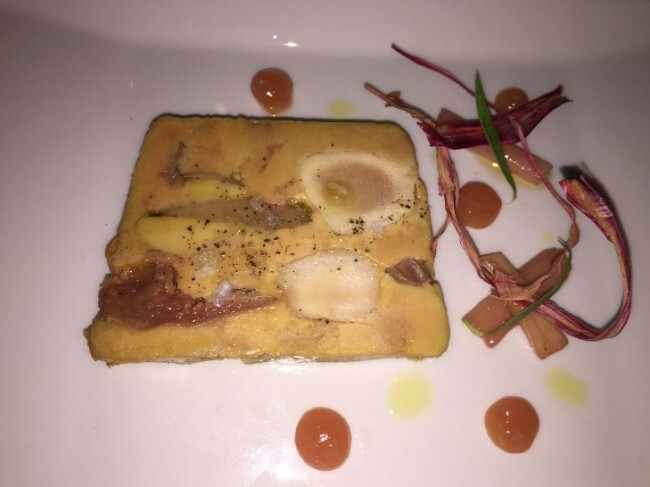 We began with a Rabbit and fois gras terrine with a splendidly sour rhubarb gel and a confit of rhubarb. This was cooked in a red wine vinegar with sugar and tarragon. For any lovers of foie gras this was a fantastic mix of strong flavours and subtle textures which left you wanting more. This was paired with a zingy Mahi – Sauvigion Blanc Marlborough, from one of our favourite regions at the moment. If your a fan of New Worlds we strongly recommend sourcing a bottle. 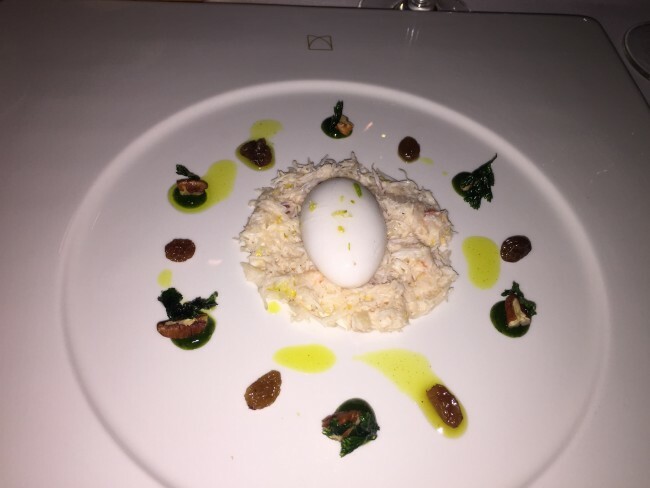 This was followed by Liscannor Crab with a coconut sphere, fragrant coriander gel and curry oil. A great showcase of how the Sosa ingredients lend themselves to the more creative dishes. Once you slice into the delicate sphere the creamy coconut gently trickles over the crab meat to reveal a delicious sauce. For the next dish a full bodied Bordeaux Rouge – L’Abeille de Fieuzal was chosen. This wine was made for venison no doubt about it. 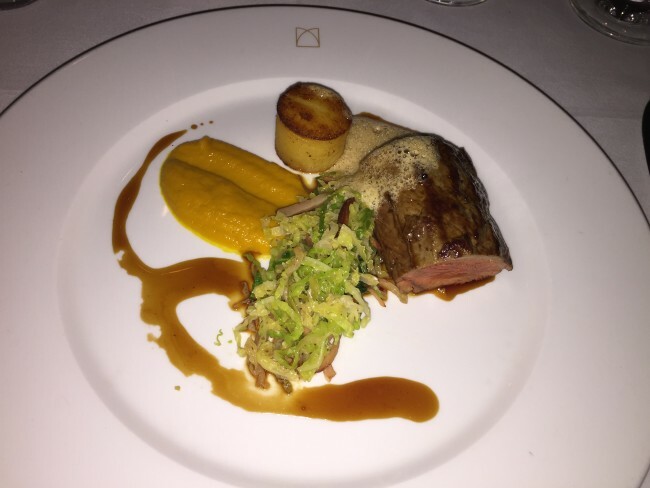 So when a succulent pink roast loin arrived with delicately braised cabbage with pancetta laced through we could not have been more pleased. To the side was a pomme fondant with a nice little bite and a light carrot purée. The clever Sosa ingredient being the café au lait foam, a beautiful piece of meat surrounded by beautiful ingredients. The final showstopper of the night was of course the dessert, this is where the Sosa integration really excels. The most alluring little sphere of shortbread panna cotta, orange sorbet layered with an fine orange chocolate. A warm orange cremeux was slowly poured over the centre to magically reveal the deliciousness inside. Not only was this a visually stunning dessert but every bite lived up to the effort that had gone into the presentation. This is a magical Taste we very highly recommend.